A typical lead–acid battery contains a mixture of water and sulfuric acid also referred to as electrolyte. The acid is heavier than the water. If a battery is allowed to sit idle for long periods of time, the electrolyte can separate whereby the water rises to the top and the acid sinks to the bottom. This is called stratification. Stratification results in a difference of acid concentration across the surface of the plates. The water at the top of the stratification is more prone to increased evaporation especially in hot climates. The higher concentration of acid at the bottom of the battery, and can lead to greater corrosion of the bottom half of the plates. Also, during long periods of golf cart storage, connecting a low-amperage trickle charger maintainer or, trickle charger maintainer desulfator to the batteries automatically and continuously keeps the acid and water mixed eliminating damaging stratification and prevents the need for periodic filling of the batteries with distilled water. 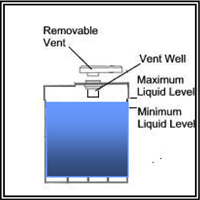 Stratification is when the water rises toward the top of the battery case and the acid drops toward the bottom of the battery case. Frequent charging and discharging, or, using a trickle-charger provides for an even mix of the water and acid.